Greece experienced two crises since the last peer review of its development co-operation: a severe economic recession resulting in significant cuts to the national budget, including official development assistance (ODA); and an ongoing refugee and migration crisis. Greece maintained its commitment to development co-operation, meeting its commitments to European Union institutions and other multilateral organisations. Greece also mobilised resources and its population to provide significant support to asylum seekers and refugees. 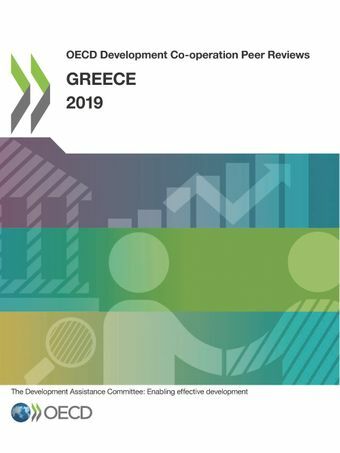 As the economy recovers and Greece considers stepping up its development co-operation, this review recommends a number of steps that the government might take including building a new vision for development co-operation and putting in place the structures and systems to achieve it. Greece developed mechanisms for initial reception and integration of refugees and adapted its domestic policies to create conditions for peaceful co-existence between refugees, asylum seekers and the Greek population. Read chapter 5 of the peer review for more information on Greece’s support to asylum seekers and refugees.